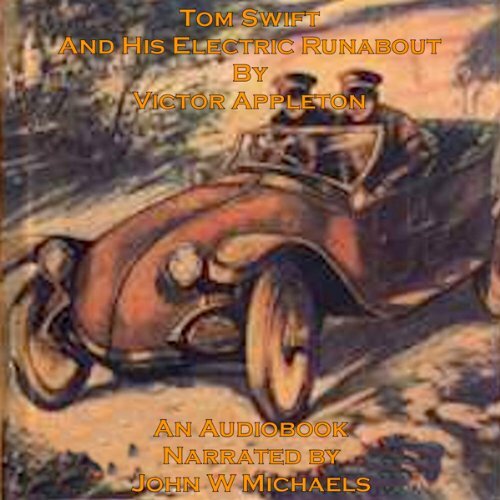 Tom Swift and his Electric Runabout takes us back to gentler times when the bad guys weren't really that bad, didn't carry Uzis, and being an inventor like Thomas Edison was the dream of many young boys. In this book our hero creates an electric automobile with a top speed of over 100 mi./h, saves the bank, gives the bully two black eyes, wins the prize for the fastest automobile in a 500 mile race, only stopping once to recharge his batteries. Without a NASCAR pit crew, it only took Tom 25 min. The narrator, John W Michaels reads this thrill a minute treasure of yesteryear, tongue-in-cheek, a true melodrama. Reading from the original text, there are some portions of the book that are unfortunately not politically correct, and the publisher apologizes for this.